If you haven’t been at a show or expo when the MRT crew was present this year with their Predator Ford Mustang on-site, then you have seriously missed out. From the in-house coat of paint to its fully track-capable tweaks, this car is definitely a 2011 Mustang GT you don’t want to miss. 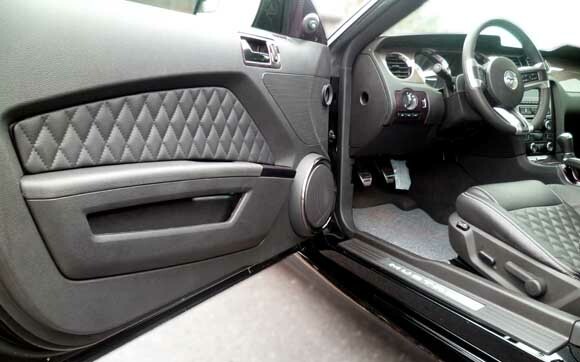 What’s more, MRT has released an official Predator Interior Kit which fits the 2010-2012 Mustang. This isn’t just your run-of-the-mill leather & vinyl redux; this is a quality aftermarket Mustang interior kit that took the honors of the Ford Motor Company Product Excellence Award at the 2010 SEMA show. So what all is included in the MRT Predator Mustang GT interior kit? Keep reading for more! 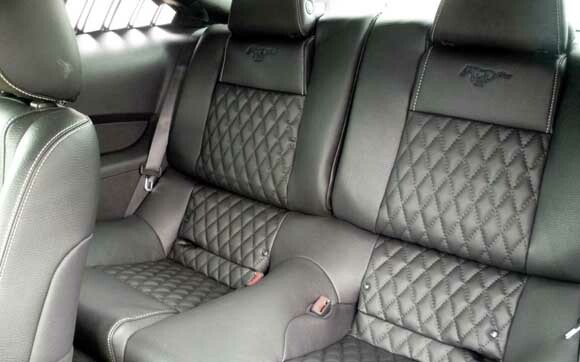 Plymouth Michigan- MRT is proud to announce their new Predator Interior Kit for 2010-2012 Mustangs. The beautiful black leather interior is the same as showcased in the 2011 MRT Predator Mustang GT that earned prestigious Ford Motor Company Product Excellence Award at the 2010 SEMA Show. The quality look and feel of the Predator’s custom black interior conveys the look and feel of both performance and luxury. The MRT Predator Interior Kit includes front and rear seat covers in custom black leather, door inserts and a center console lid. The elegant Diamond pattern in rough grain “Fury” black leather transforms the Mustang’s interior into one of high quality, with purposeful form and function. The Diamond pattern is stitched in subtle black thread, with all other seams using a white thread. Like all MRT performance and styling products the new 2010-2012 Mustang Predator Interior Kit is made in the USA. Adding a functional look and feel to the interior kit is the optional MRT Adjustable Headrest Pair. The headrest pair will match the grain and stitching of the interior and will tilt to assure driving comfort.